An expanded driving range with a natural turf/grass surface, new poles and netting and the demolition of the miniature golf course are part of the plans for the city-owned Riverbend Golf Complex. The Kent City Council’s Parks and Human Services Committee approved a $200,200 consultant contract on Feb. 21 with Seattle-based Broderick Architects for design services on the project, according to city documents. The total project is expected to cost an estimated $2.2 million and be completed in 2020. The city will pay for the project with proceeds from the $10.5 million sale of the former par 3 golf course to Auburn-based FNW Inc./Landmark Development Group. The developer is building the Marquee on Meeker mixed-use project that includes nearly 500 apartments along West Meeker Street, near the driving range and across from the 18-hole course. The city is using $6 million of the land sale for improvements at Riverbend and $4 million to pay off debt at the complex. Riverbend lost $65,572 in 2018 after averaging losses of about $300,000 per year. The closure of the par 3 course last April helped reduce costs in 2018. City staff expects Riverbend to make a profit in 2019. 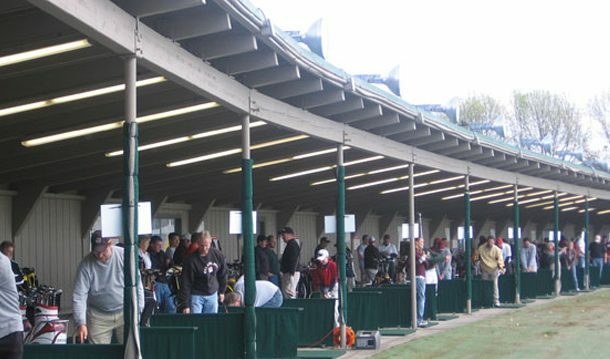 “This is going to be a tricky project, but it’s the driver in the Riverbend business plan to bring in significant revenue to take us into a profit margin,” Parks Director Julie Parascondola said to the committee about the driving range improvements. The consultant will help to make it less tricky as it coordinates with two adjacent City Public Works projects – expansion of the Signature Pointe Levee along the Green River and the Meet Me on Meeker street improvements. The design work on the driving range is expected to be done by September with construction to start after Labor Day, according to city staff. Also new at Riverbend will be the opening of the Half Lion Brewery, which could open in June. The owners of Half Lion Brewery in Sumner signed their lease with city staff to open a new restaurant at the Riverbend, the second location for the group. “They will be doing a ton of work – remodeling – and are shooting for test opening in May and a formal opening sometime in June,” said Parascondola, who added that liquor license and other permits could delay that time frame. City staff and brewery owners hope to be open for a 30th anniversary celebration of Riverbend in June. • Steve Hunter is a writer with the Kent Reporter Newspaper.